Toonimo, Inc. offers a cloud based platform that enables businesses to showcase the key features of their websites by acting as a pathfinder to site visitors. "Excellent Support, But Did Not See Desired Lift"
Toonimo is a great concept that likely has significant value for other companies. Additionally, their technical and customer support was excellent. Data tracking on their platform was not easy to reconcile with our internal reporting. Additionally, we did not see the desired increase in conversion. I believe Toonimo is most effective for multi-step funnels that are relatively simple, but not shorter funnels that require convincing the user to take the next step. We were attempting to increase our conversion rate for a step in our funnel. What Digital Adoption Platform solution do you use? Build a personalized user onboarding experience that welcomes, educates and drives users to take action. Then watch your user-base soar. WalkMe pioneered the Digital Adoption Platform (DAP) to transform the user experience in today's overwhelming digital world. Using artificial intelligence, analytics, engagement, guidance and automation, WalkMe's transparent overlay assists users to complete tasks easily within any enterprise software, mobile application or website. Whatfix is a platform to create interactive guides, which helps businesses reduce support queries and improve user on-boarding. Key to Userlane's technology are interactive step-by-step guides, which can be implemented on top of every existing web-based software or e-commerce website. Create in-app tutorials/walkthroughs, train users right within application. GuideMe is a developer and manufacturer of on screen training software. The Dokit SaaS platform enables you to create, share and improve step-by-step instructions, user guides and product manuals that fit any screen and device. Dokit makes it easy to organise and control content: categorisation, tagging, metadata, and workflow validation. * We monitor all Toonimo reviews to prevent fraudulent reviews and keep review quality high. We do not post reviews by company employees or direct competitors. Validated reviews require the user to submit a screenshot of the product containing their user ID, in order to verify a user is an actual user of the product. Hi there! 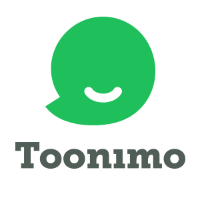 Are you looking to implement a solution like Toonimo?